When it comes to skincare, my favourite products tend to be the ones you can see and feel working. 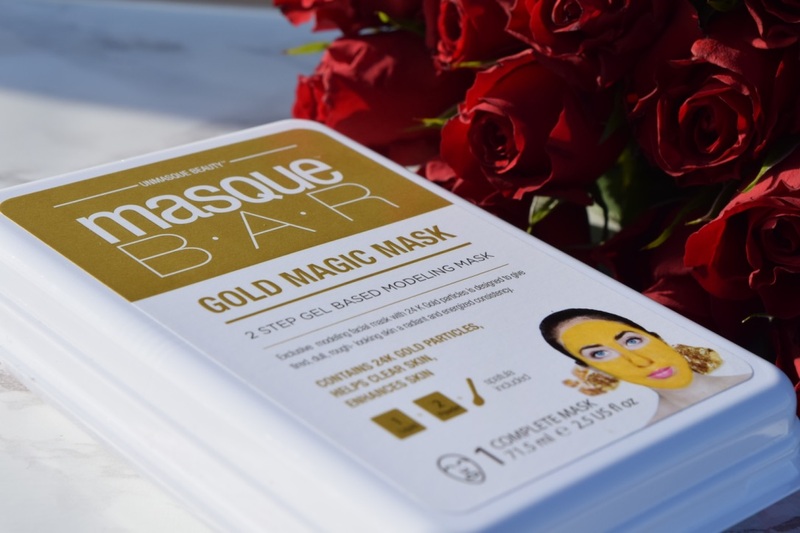 If it stings, tingles changes colour or leaves skin feeling silky, I’m bound to love it, so when I got the chance to try Masque Bar’s Gold Magic Mask – a 2 step, gel-based formula which you whip up in the privacy of your own bathroom, and leave to solidify on your face, I was more than a little intrigued. Packaged in a handy plastic box, which functions as a mixing bowl, as well with a spatula, you simply add water, mix and then apply to a cleansed face. Designed for brightening dull and tired skin, I love treatments like this for recovering from late nights or prepping for big events. To use, simply slap on a generous layer, and allow to set to a rubberised finish. It’s calming and soothing, and skin definitely looks and feels fresher after use. I’m not quite sure how much of an effect the gold has on skin, but it’s always fun for a bit of bougie glamour! Monday mornings are never going to be my favourite time of the week. Getting up with the alarm always feels that little bit harder than normal, and getting my inbox down to zero feels like it takes hours. So as a bit of a pick me up, I love adding a fun pop of something to make the morning feel a little bit more special! 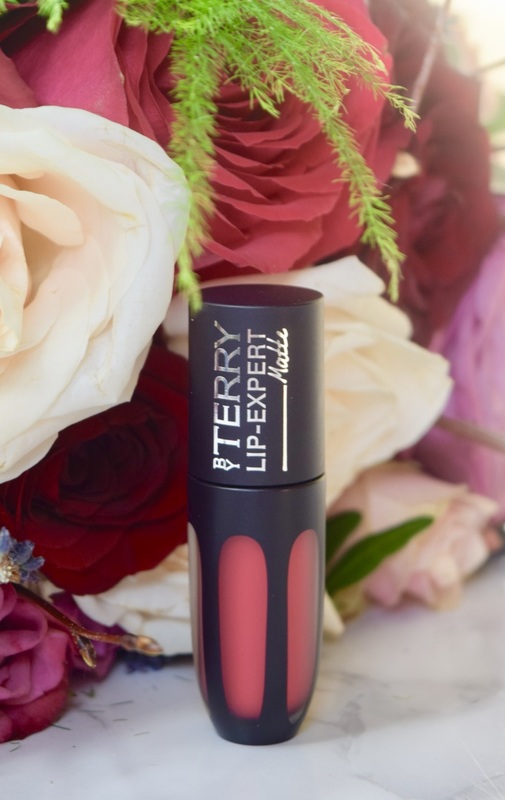 This morning’s choice is the stunning By Terry Lip-Expert Matte in Dragon Doll. One of the brightest shades from the whole Lip Expert line, this is a shade for days when you want to be noticed. It’s a true, blue toned red, which takes on an almost neon look after drying down. It’s truly glorious. I tend to wear it with the rest of my makeup toned right down, so that the focus stays resolutely on the lips. 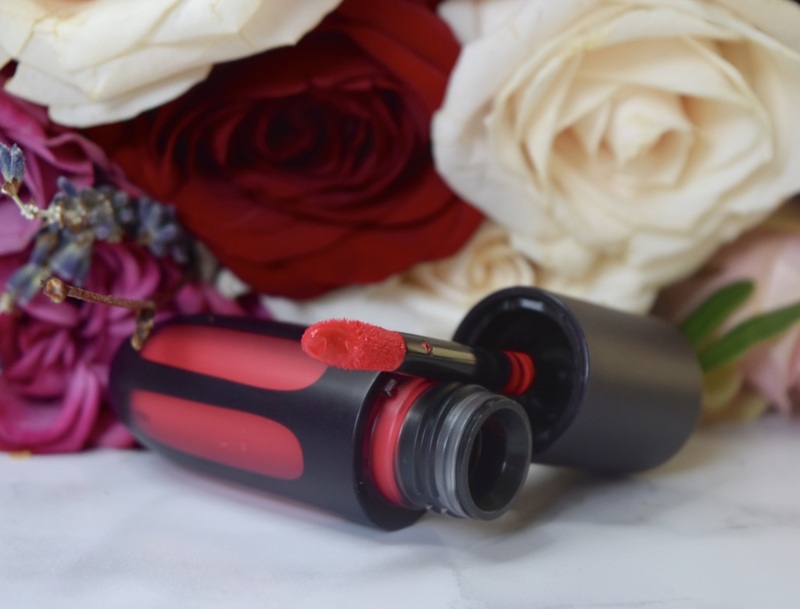 Applied straight to the lips with the doe foot applicator, the lipstick as an almost whipped consistency, which gives lips an even and opaque coat of colour. Unlike other matte lipsticks I’ve tried in the past, By Terry’s doesn’t dry down to that chalky finish. Instead it stays comfortable all day, and once it’s on, it’s truly on. There is little to no fading wearing the lipsticks throughout the day, and I need to get the cleansing oil and lip exfoliator out in the evening when i want to get it off! Have you started planing what you’re giving up for lent yet? I’m swithering between giving up coffee or just Starbucks in general, but honestly, I’m not sure my morning productivity levels could quite cope. What’s easier however, is planning how to celebrate pancake day on Tuesday. Normally it’s a date which creeps up on me, and leaves me running around the aisles looking for eggs and maple syrup at some ungodly hour, but M&S have made it incredibly easy to get all set up with their fabulous range of goodies. 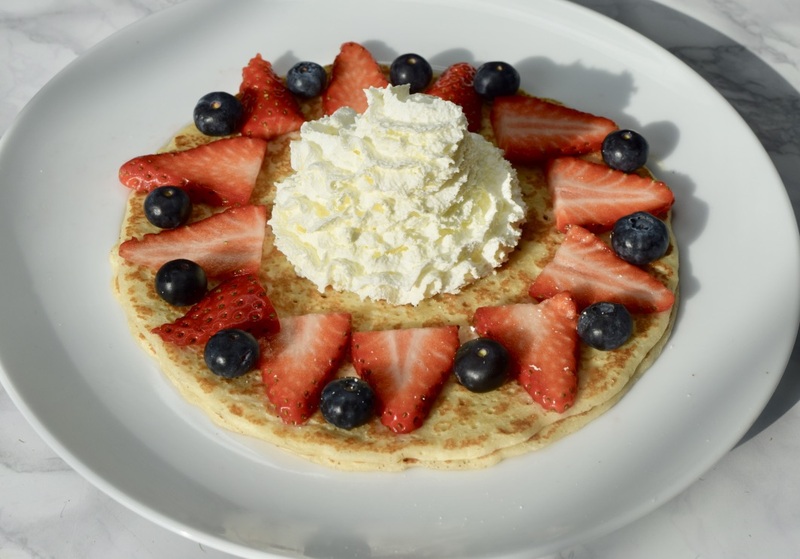 No matter how busy you might be this week, M&S has made it insanely easy to serve up pancakes this Tuesday. Their pack of 6 pancakes (above) are perfect for an indulgent breakfast. 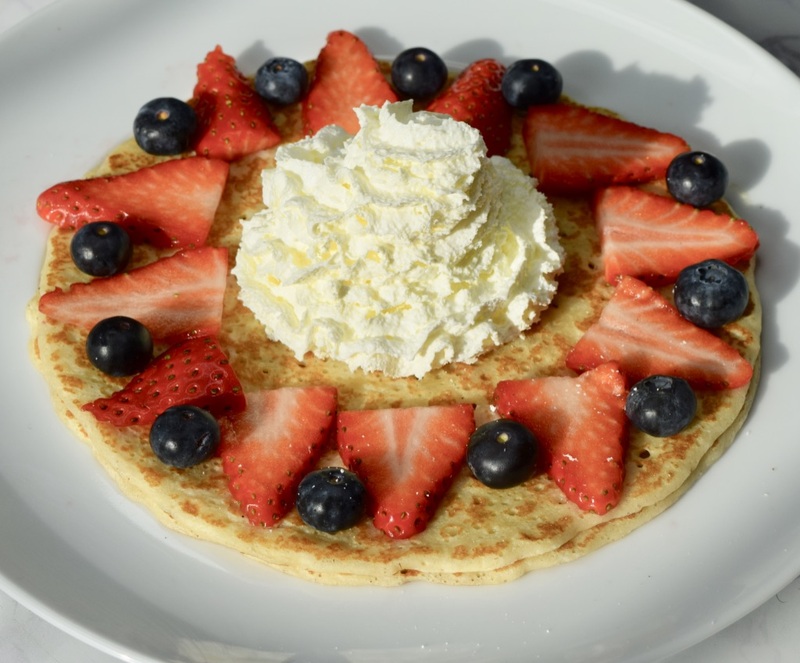 Warmed on a griddle, and paired with sliced fruit and skoosh of cream, it’s a hearty breakfast which will keep you going well into lunchtime. M&S also have bags of these adorable mini pancakes, which would make the cutest little desserts. Absolutely as light as air, these little puffs can be heated up in the microwave within a few seconds, and I’m sure kids would go insane over them. Along with sliced berries and whipped cream, we added an indulgent squeeze of Sticky Toffee Sauce. It took the dish to the next level, and next time, we want to try them paired with ice cream and sauce! 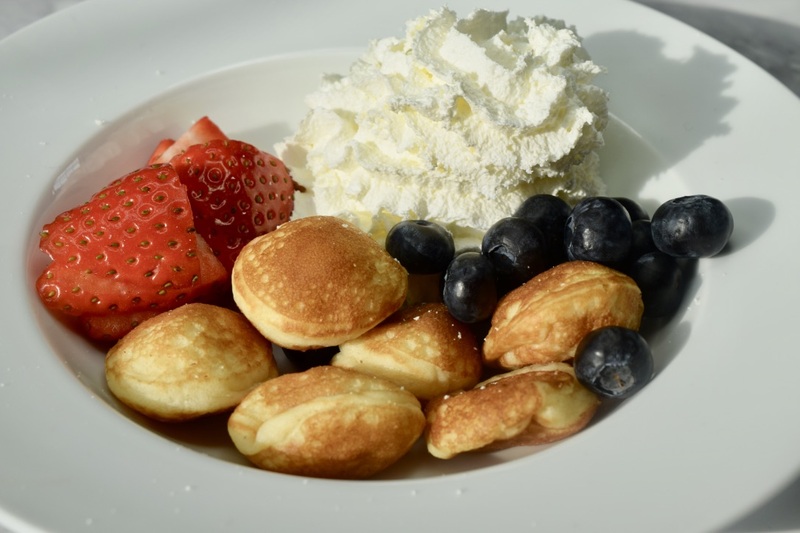 If you’re a bit of a purist, then the Buttermilk Pancakes are a must try! Available in packs of four, they’re the hot, fluffy pancakes you order when you go for brunch, but you get to enjoy these from the comfort of home. Again, we paired these with the Sticky Toffee Pudding sauce, but M&S also have a chocolate, a raspberry and even a lemon, gin and tonic option to choose from! These would pair beautifully with some sausages and bacon, for that real brunch effect, or they’re sweet enough that you could enjoy them simply with a glug of maple syrup. 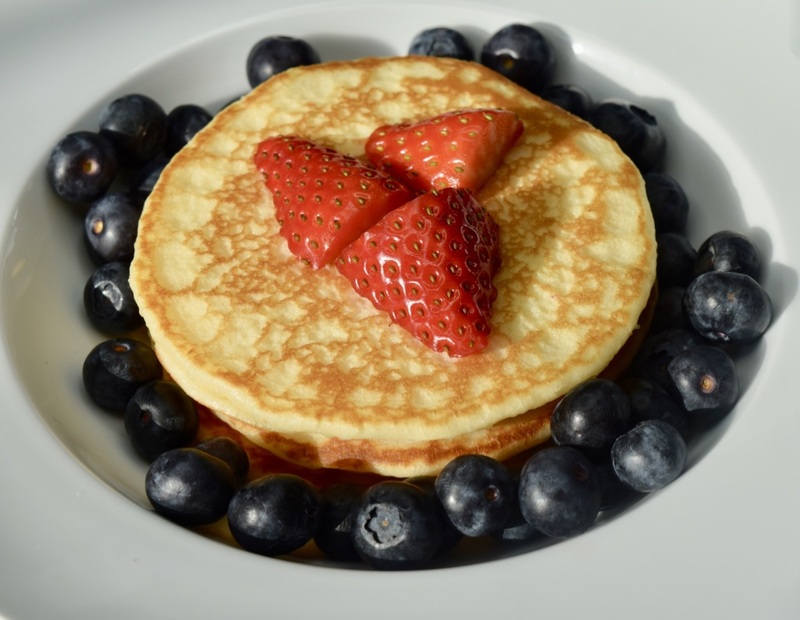 No matter how you choose to enjoy your pancakes this Tuesday, just make sure you grab those goodies from M&S! In a few months, I turn the big three-oh. It’s equal parts exciting and terrifying. I’m not quite sure when my twenties have run off to, and even though I still kind of feel like I should be heading off to lectures, I’m now handling a whole lot more responsibility with work. I’m also prone to now lust after home goods, rather than handbags. 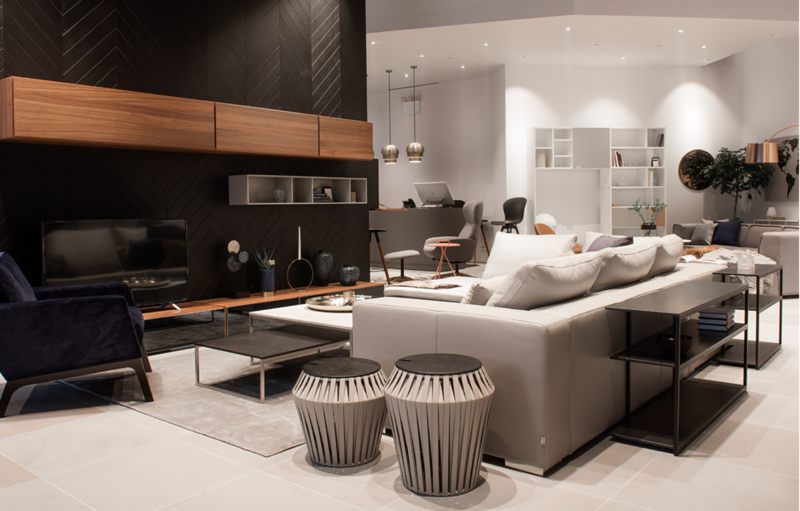 In my search for investments which are going to last a lifetime, I’ve fallen in love with BoConcept, and if you’re in the same position as me, I’d very much recommend heading through to their furniture stores in Glasgow. I’m obsessed with the brand’s paired back, Scandinavian aesthetic. Equal parts mid-century cook and clean modern lines, the pieces are no doubt classics which will never date. I’m currently looking for a few key pieces for my house and office, and honesty, the Amsterdam corner sofa is possibly the chicest sofa I’ve ever seen. 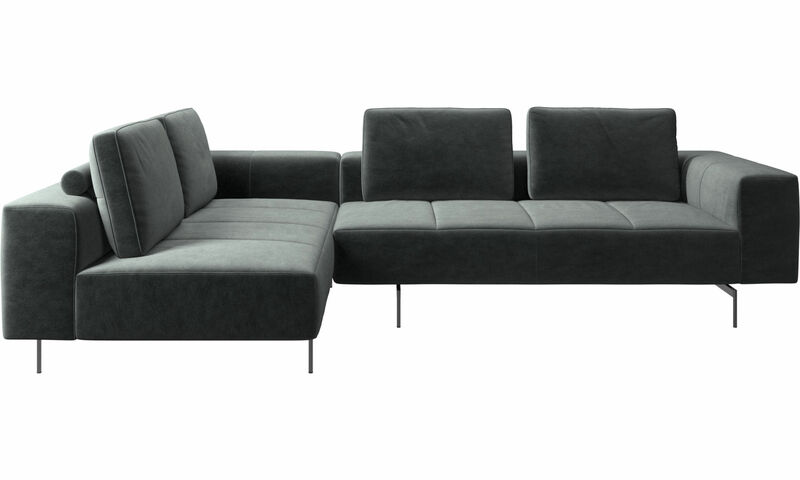 The sleek lines mean it will always look stylish, and can you get any cosier that grey velvet? Priced at £5118 it’s undoubtedly an investment, but when you think that you’ll be able to enjoy it for decades to come, it doesn’t feel quite so spendy! 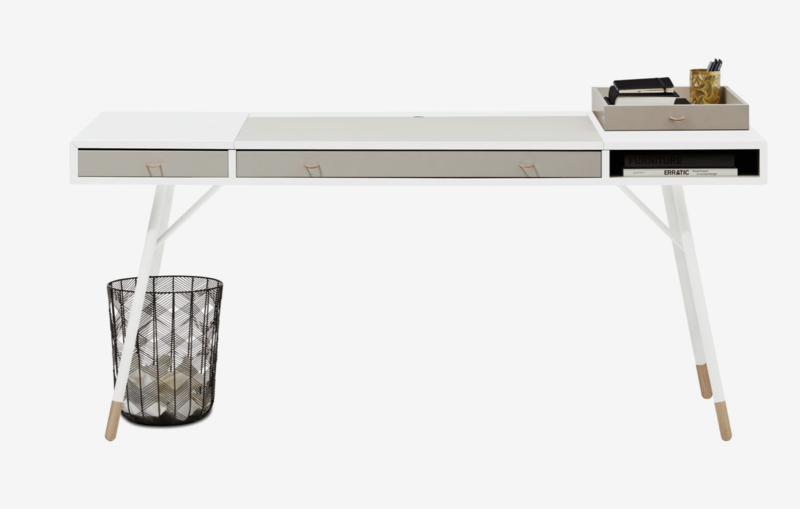 I’ve also been on the hunt for a desk which is going to see me through work and blogging. As someone who works from home, and from a computer, I tend to spend hours in the office staring at my screens. So having an office which looks good and performs well is seriously important to me. The Cupertino Desk meets all my needs and looks good doing it! I just love the white lacquered finish, and the drawers mean I can tuck all my papers and wires away and keep the place looking tidy. It’s also got enough room to spread out, so no matter if I’m working on my desktop or laptop, there’s more than enough room! As a rule, I tend to opt for interiors which are as tidy and streamlined as possible, but it’s easy to let that veer too far into cold and clinical, so I absolutely love these stunning Velvet Cushions. 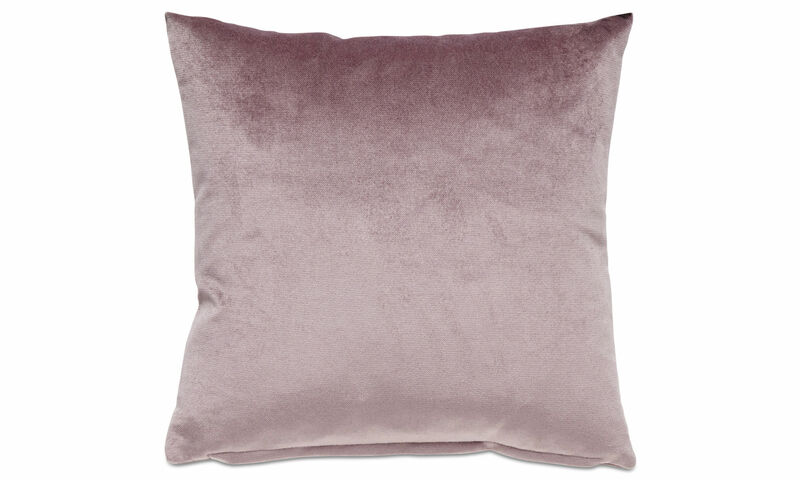 Priced at £49, they’re an affordable way to inject a little colour and texture into the room, and I am obsessed with this dusky rose shade. It looks gorgeous with my neutral interiors, and feels beautifully feminine without being overly girly. In addition to wanting these for the sofa, they’d look gorgeous in a bedroom too! Although committing to big interior purchases can feel intimidating, when they’re as gorgeous as BoConcept’s offerings, you know you won’t regret them! Thank you to BoConcept for sponsoring this post. When it comes to skincare, I love a bit of a routine. Each Sunday I love a good face mask. I feel like it undoes a bit of damage from the past week, and preps my skin for what’s coming. 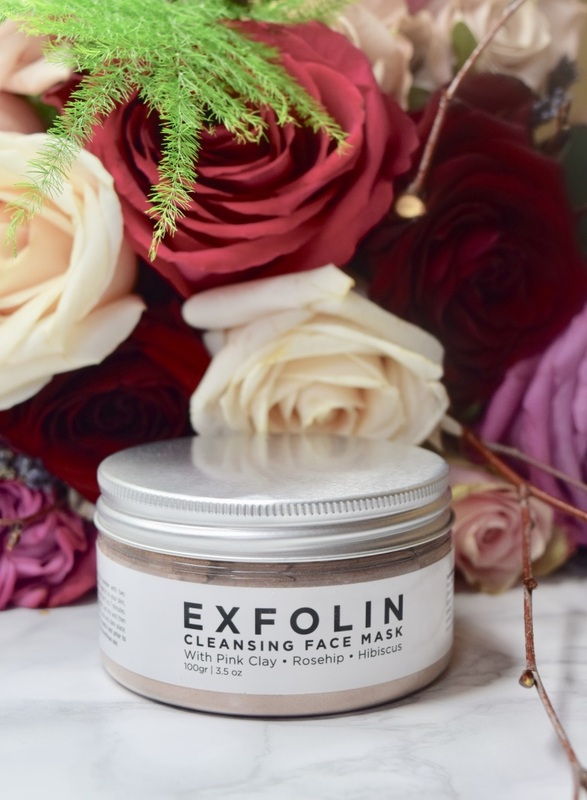 It’s because of this that I tend to opt for products which really cleanse skin, and my latest find is the Natural + Cleansing Pink Clay Mask from new Scottish skincare brand Exfolin. 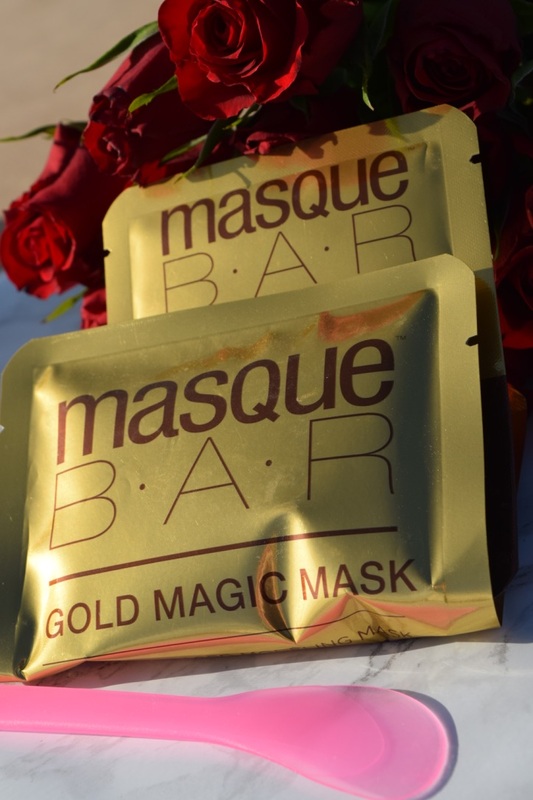 Packaged in a chic screw-top jar, the mask comes in a powdered clay form, so all you need to do is add water to your desired thickness, then apply to clean, damp skin. 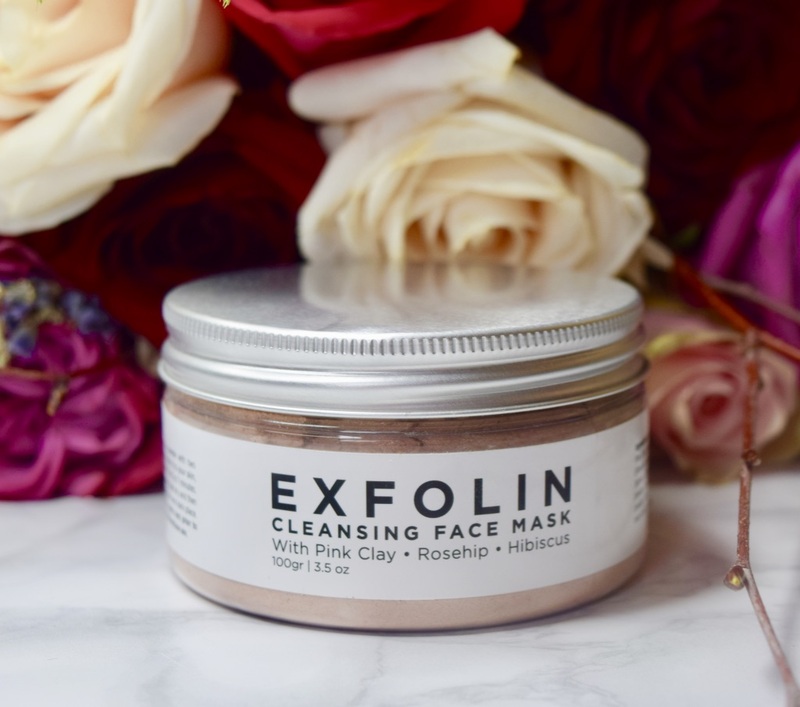 Since you’re in charge of adding the moisture, depending on how much of an exfoliation you’re after, you can make the mask as thin or as thick as you like! 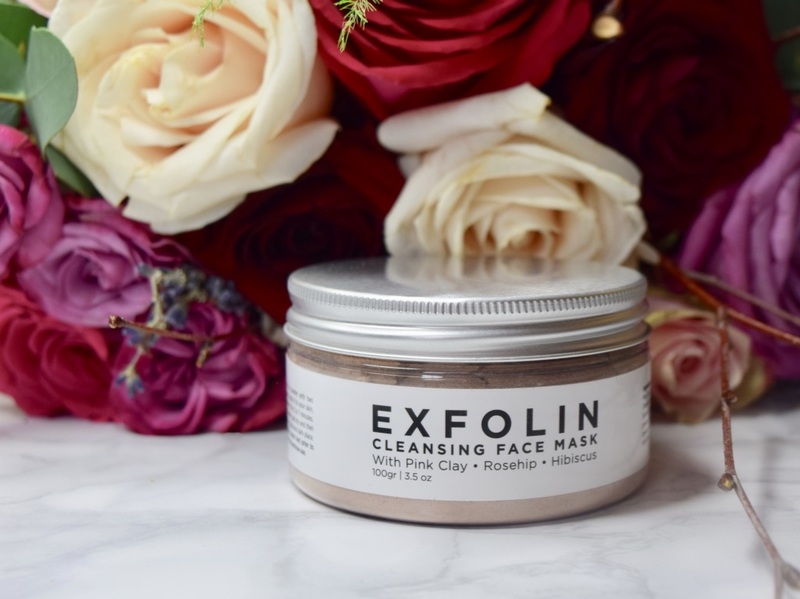 In addition to the Pink Clay, the mask contains Rosehip and Hibiscus which work to reduce fine lines and pores, and the formula’s vitamin content helps to improve cell turnover, leaving skin look as youthful and dewy as possible. The formula is completely natural and animal-product free, so if you’re looking for a new vegan alternative, this could be the mask for you! The powder formula is also perfect for travelling – it won’t add to puny liquid allowances, and instead, you can just tuck it into your carry-on and enjoy great skin for the whole of your trip!